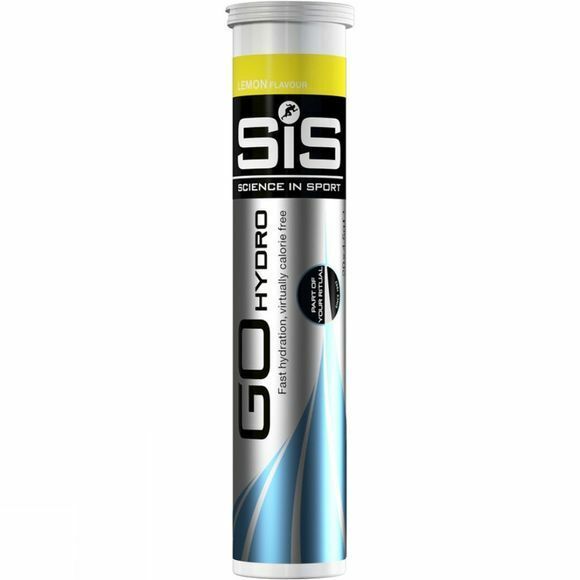 Developed to keep the British Sailing Team sufficiently hydrated at the Beijing Olympics in 2008 the Lemon Go Hydro Tablet from SiS contains precise levels of sodium and other electrolytes with virtually no calories, to hydrate you during intense exercise. This is not a weight loss product and should be used as part of a balanced diet and healthy lifestyle. Electrolytes (34%) (sodium bicarbonate, sodium chloride, calcium carbonate, potassium chloride, tricalcium phosphate, zinc citrate, magnesium carbonate), citric acid, sorbitol, inulin, red beetroot juice powder, maltodextrin, flavouring, starch, sweetener (sucralose), vitamins (pyridoxine hydrochloride, riboflavin 5-phosphate, thiamin hydrochloride).